This interactive book and video course is all that you will ever need for learning guitar chords, scales, arpeggios, technique, and basic guitar theory! 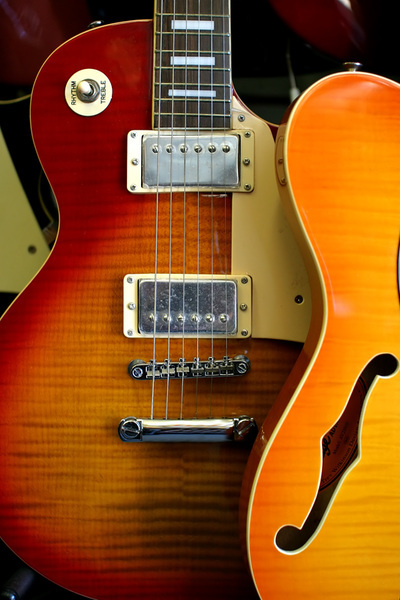 Damon Ferrante, guitar instructor and music professor, guides you through 240 step-by-step lessons and 32 streaming video lessons that are designed to improve your guitar technique, musicality, and give your playing and songwriting more power, color and expressiveness. No Music Reading is Necessary! Used by thousands of guitarists, this book and video course will take your guitar playing to a whole new level! 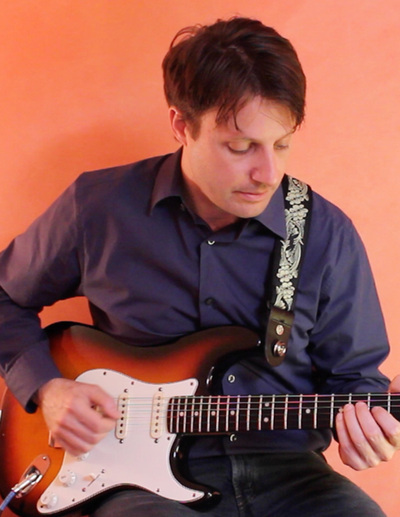 If you feel that you have been locked in the same patterns and scale shapes for years, unable to break out of the dull habits and licks you first learned as a beginner, this book and video course is for you! You will learn how to apply the most commonly used chord, scale, and arpeggio forms in a musical manner, so that your solos, licks, and songwriting will be more creative, expressive, and colorful. 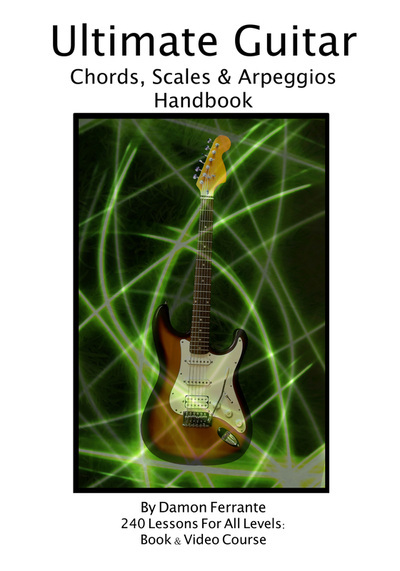 * Ultimate Guitar Handbook helps you get out of your rut and expand your playing throughout the guitar neck. * It frees you to enliven your solos and songwriting with bold, new ideas and techniques that will help create your personal style. * This book and video course will supercharge your creativity and strengthen your understanding of music. Designed to fit easily in a guitar case, gig bag or backpack, take this handbook with you to the gig, jam session, studio, rehearsal or performance.